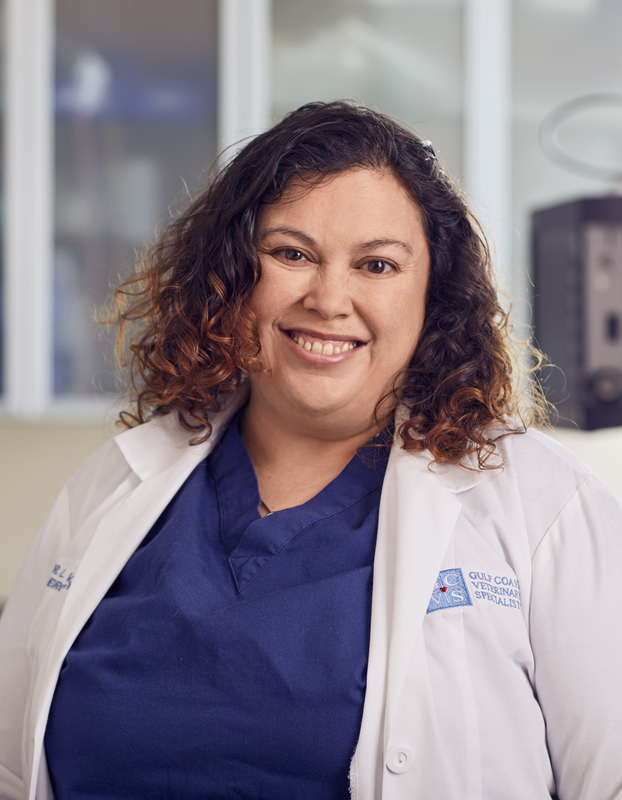 Dr. A. Melissa Garcia-Lacaze received her doctor of veterinary medicine from Texas A&M University in 1998. She then completed a one-year emergency and critical care internship, followed by a three-year emergency and critical care residency at the Animal Emergency Center in Glendale, Wisconsin. Dr. Lacaze joined Gulf Coast Veterinary Specialists in 2002, and became board certified by the American College of Veterinary Emergency and Critical Care in 2003. Dr. Lacaze has a mixed- breed dog, Mungo, and two cats, Nimo and Diamond. Dr. Lacaze was super professional and very kind.